Saccharum ravennae (ravennagrass) is a large perennial grass (family Poaceae) found in the Sonoran Desert and Sacramento Valley of California. It is also found in a number of other states throughout the country. 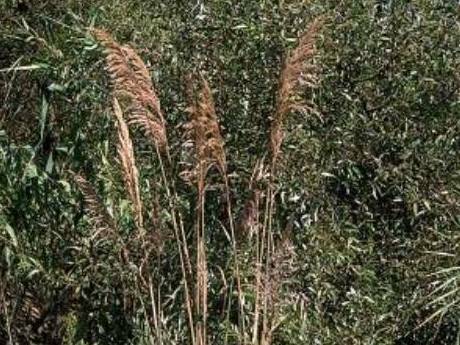 Ravennagrass is sold in the nursery trade as a hardier alternative to pampas grass, since it can grow in cooler climates. Ravennagrass grows in moist places such as marshes and riparian areas, establishing itself easily in disturbed areas. It is spreading rapidly along Cache Creek in the Sacramento Valley.